The Congress on Friday attacked Union minister Smriti Irani for "falsifying record" and faking her educational qualification, a day after Irani admitted in her election affidavit that she is not a graduate. Dubbing Irani a "serial liar", the Congress alleged that she had forged her educational qualifications and submitted contradictory affidavits to the Election Commission (EC) for which she should be disqualified. 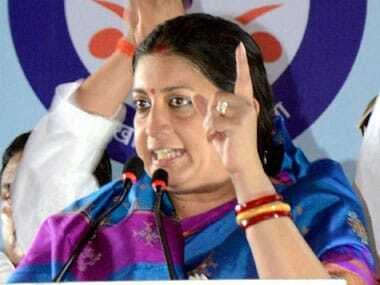 Congress spokesperson Priyanka Chaturvedi also accused Irani of misusing her influence and power as a Union minister. "Union Minister Smriti Irani, who had been rubbishing the Opposition's claim that she is not a graduate, yesterday accepted that she enrolled for an undergraduate course in Delhi University but did not complete it," Chaturvedi said. 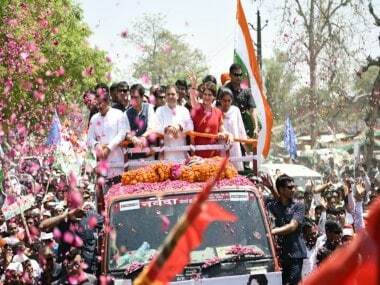 She should step down and also be disqualified from contesting the polls, Chaturvedi said. "We have no issue with the fact that Irani is not a graduate. The issue here is that she has lied repeatedly on oath and to the courts. People of India will see through these lies and give a befitting political reply to a 'serial liar'!" It is clear that she has not only "falsified records" of her degrees but has submitted contradictory affidavits to the EC for which she is guilty of an offence under Section 125A read with Section 33 of the Representation of Peoples Act, Chaturvedi said. Chaturvedi also mocked Irani by singing a parody of the opening lines of her the famous serial Irani acted in. Taking a dig at Irani, Chaturvedi changed the title of the show 'Kyunki Saas Bhi Kabhi Bahu Thi' to "Kyunki Minister Bhi Kabhi Graduate Thi". 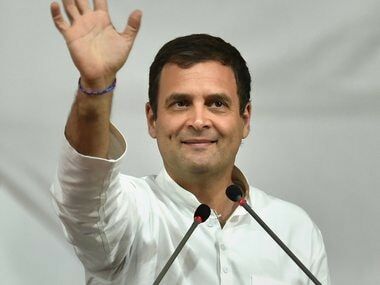 However, Irani hit back at the Opposition party for mocking her and said that no matter what allegations are levied against her, she will work against the Congress in Amethi in the ongoing Lok Sabha election. Irani on Thursday had submitted to the Election Commission that she did not complete her graduation from Delhi University. 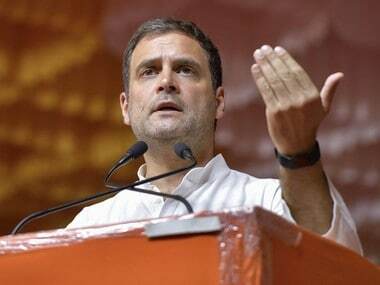 In her affidavit filed during her nomination, Irani, who is contesting against Congress chief Rahul Gandhi, said she passed secondary school examination in 1991 and senior secondary school examination in 1993. 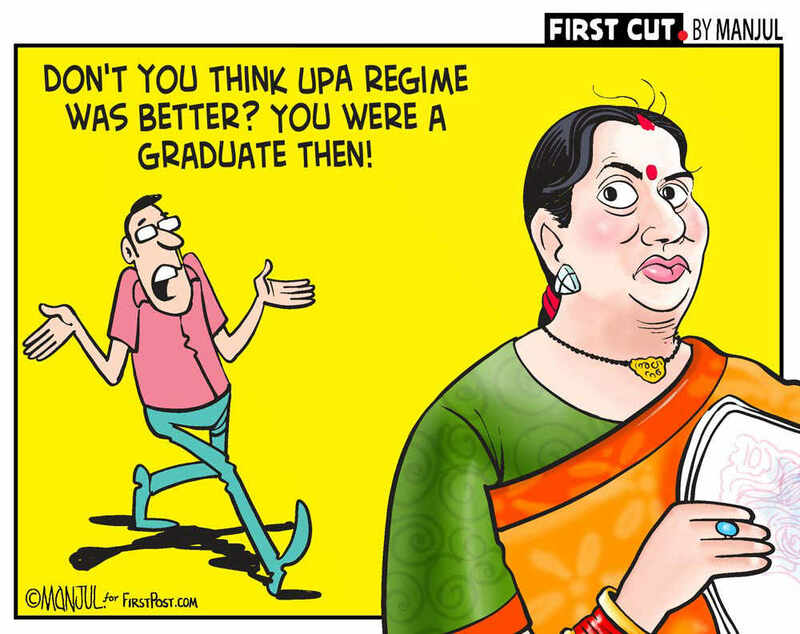 Irani has said she did not complete her Bachelor of Commerce (Part-I) — a three-year degree course — from Delhi University's School of Open Learning in 1994. In her affidavit for 2014 polls, she had reportedly said she graduated from the university in 1994, triggering a row over the veracity of her claim, with opposition parties alleging she was not a graduate. She had also, at an event, claimed that she had a degree from Yale University praising her leadership skills, which again found no mention in her official document submitted to the Election Commission. According to Scroll, she later explained that she was among of a group of 11 MPs who had gone to Yale to undergo a crash course in 2013, however, the Opposition targeted her for lying.